Sevenoaks Spiritual Friends Circle is a Closed Psychic Development Circle based in Dunton Green , Sevenoaks ,Kent . We are a small informal group of people who meet every Sunday Evening , in a relaxed atmosphere and use different methods and ways to bring out what we already have within us, that we may or may not be aware we have. Every one gels and as one of my members once said "we are like family" we get to know each other and grow to like one another that you can't help form close bonds and friendships. Our aim is to use our Psychic abilities no matter how far we have developed, and share them with each other and learn from each other as many things as we can whether spiritual or psychic and with an added touch of the Paranormal. By learning different ways and creating different exercises I have found it is another way that helps us to learn and develop our psychic abilities. Using Psychic art and various forms of Scrying has also helped . Everyone is given the opportunity to Demonstrate what they have learned or created themselves within the group from time to time, and I am amazed at what they all can do. I am learning from them, just as much as they are learning from me. 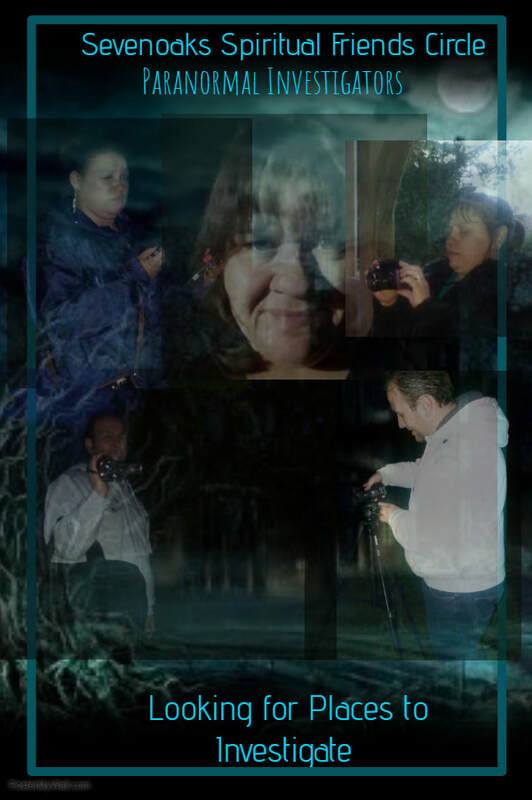 This was and still is my aim for our Circle "To Learn from each other all things Spiritual "
One of my member's was keen to capture evidence and records spirit voices using an Echo Vox and other equipment , which when captured will be added to the website under P.I.P. We don't just sit in a circle every week, we do something different each week.Everyone shares the opening and closing prayers and the grounding exercises . At first members was reluctant to do this at, but it has helped them to grow in confidence and have been able to create their own Grounding Exercises and also create Exercises to help with their development. We are not a Place that offers training to gain Certificates or Qualifications through Coursework, so if this is what you are looking for then our Circle is not for you. We take what we do seriously, and Guidelines are set in place for the Circle to run smoothly, but we also have a laugh about things. We are a small friendly group who have met through our mutual beliefs and have formed close friendships together , we do not force our beliefs on anyone nor do we prey on the vulnerable or bereaved or those that are ill.
We do offer Services most are free ,and we offer donations for some of our Services when given the opportunity, and have already raised fundings for charity in the past. Members showed a growing interest in the Paranormal side of this way of life and it is something that I had been interested in bringing to the Circle so in 2015 we decided to change things . We have been out to different Locations to investigate possible Hauntings , our first place was the well known village of Pluckly in Kent. Our aim is to find places that we can investigate for Free or for a donation to a charity which we have already done. We aim to find places where it costs very little or none, to investigate using our psychic and intuitive ability's , and using various paranormal equipment and every investigation is filmed. ​ We then research after the investigation has taken place to find out the existence ,of whom or if what we have picked up on is correct. We also look for places that maybe no one else has thought about or tried but also places that is well known to the Paranormal world of investigators.